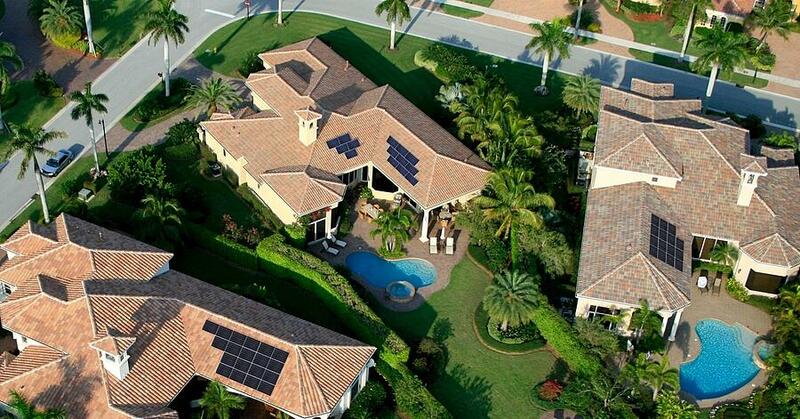 Several factors play into solar panel efficiency. The type of solar cells and how the panels are constructed are the most important factors in how efficient they are. Besides the innate capabilities of the panels themselves, environmental factors come into play. Not surprisingly, sunshine is the next biggest environmental efficiency factor. Next in line are dust, humidity, and wind velocity. For more on dust and whether you need to clean your solar panels, check out this article on the best way to clean solar panels. For this post, we’ll focus on wind and humidity, and their impact on solar efficiency. While the wind doesn’t give the sun’s light rays any extra oomph when powering panels, the effect of wind is a boost in solar efficiency. Here’s how that works. When a solar panel is too hot, it reduces efficiency due to the science behind a solar panel generating electricity. On the other hand, cooler solar panel temperatures improve efficiency. In short, the effect of temperature on solar cell performance is this: cooler panels allow more energy to get through as an electric current than hot panels do. Here’s where the wind comes in. Wind cools solar panels. Though it won’t make or break your solar panel production overall, it does make a difference. Solar panels cooled by 1 degree Celsius are 0.05 percent more efficient. This percentage adds up over time. Humidity can slow efficiency in two ways. Tiny water droplets, or water vapor, can collect on solar panels (like beads of sweat) and reflect or refract sunlight away from solar cells. This reduces the amount of sunlight hitting them and producing electricity. Consistent hot, humid weather can degrade the solar panels themselves over their lifetime. This is true for both crystalline silicon cells and thin film modules, but cadmium telluride (thin film) solar cells perform about 5 percent better in tropical climates. This mainly applies to areas that are constantly humid. Regions with tropical climates, such as Florida, would be a good example. If you live in Florida, this probably doesn’t come as a surprise. You’ve seen cars turn to rust more quickly than most people in arid regions would believe. Solar panel manufacturers are well aware of the effects humidity has on solar panels in humid areas. There are precautions to prevent humidity from deteriorating solar panels faster, such as edge sealants and using low ionic conductive materials. So, if you’re suffering through muggy summer days, remember your solar panels are feeling a bit sluggish, too. But just as we humans enjoy a nice breeze to cool us off, so do solar panels. Wind helps dry the water vapor and cools the panels down just as a breeze dries our sweat and cools us. Again, since wind has the reverse effect on solar efficiency, it often helps balance out the humidity factor. It's yet another example of mother nature and a little engineering forethought coming through for a clean energy win.